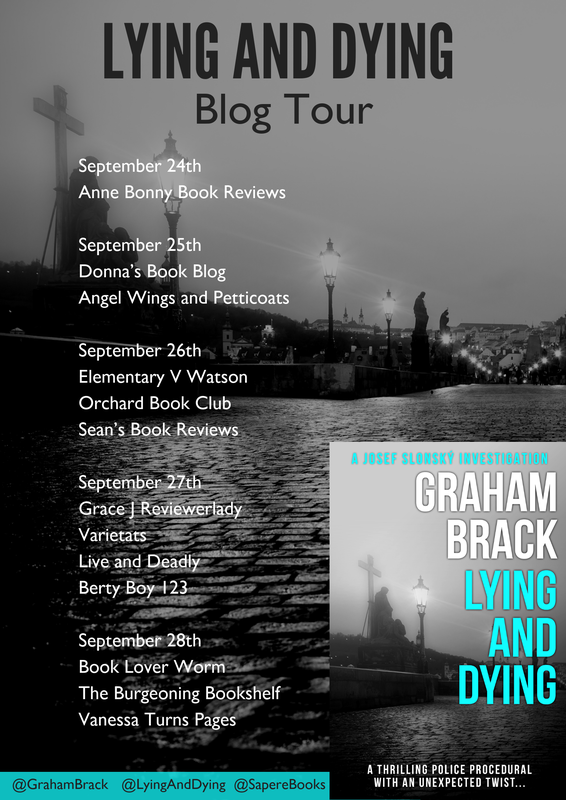 #Blog Tour #Review : Lying and Dying by Graham Brack. 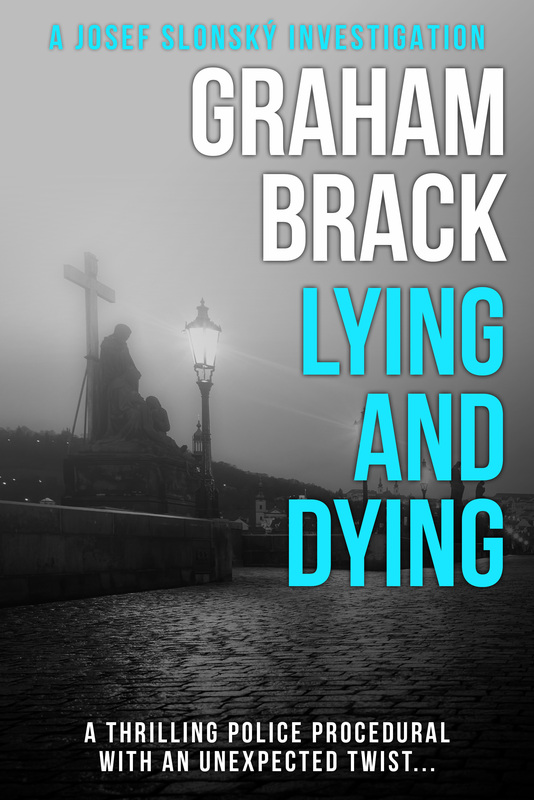 @GrahamBrack #LyingandDying @SapereBooks. 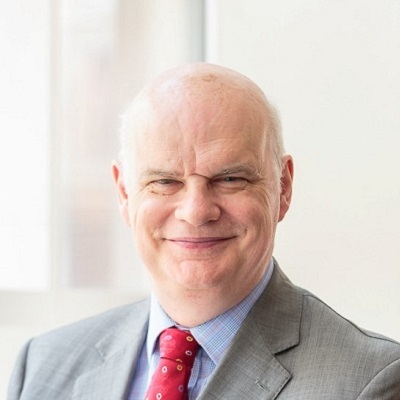 I am thrilled to be taking part in this blog tour and reviewing this first in this series by Graham Brack. My post may be up a day late but don’t let that give you the wrong impression, this book is definitely worth the wait! Blurb: What do you do when the poison comes from within…? Lieutenant Josef Slonský is put in charge of the case. With a wry sense of humour, a strong stubborn streak and a penchant for pastries, Slonský is not overly popular with the rest of the police force. But he is paired with the freshly-graduated, overly-eager Navrátil, whom he immediately takes under his wing. Anyone could be lying – and others may be in danger of dying. My Review: I’ve always been a fan of police procedurals but equally I am trying to expand my reading and that includes reading books set in different countries. This book, therefore, having been set in Prague fits the bill perfectly. I’ve had trouble with my review of this book. It’s not the book’s fault, it’s trying to do it justice that is the problem. I loved the blurb, it sounded like a solid police procedural with a quirky lead character in Slonsky and that’s exactly what it is. However, there is so much more to it. There is a lot of depth to the characters, even the ones who are only in the book for a page or two. The writing brings the story and the characters to life so well that they leap off the page. The story is clearly a serious one, murder is never anything else, but there is a lot of humour is the story which had me laughing away, something that rarely happens when I’m reading, even with the supposedly hilarious stories. I thoroughly enjoyed reading this book, so much so that before I was half way through it I wanted to get hold of the next in the series. Being a blogger I read a lot of books and hear about so many more but rarely do I ever want to read the rest of a series before I’ve finished the first book. Slonsky and Navratil make a perfect team and I can’t wait to see where their work takes them next!